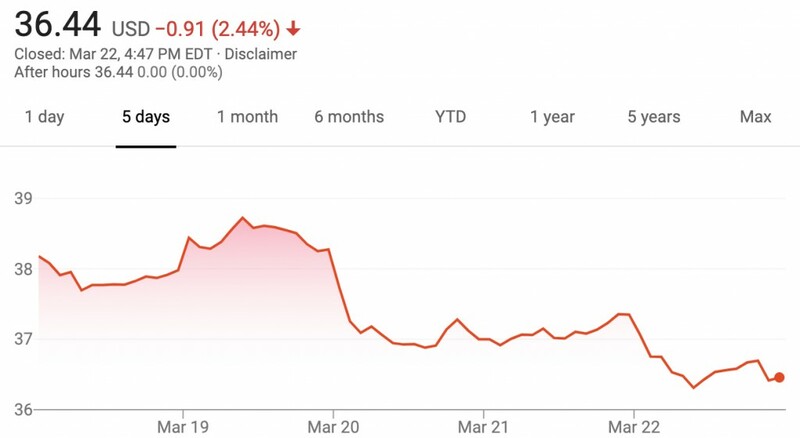 The value of GM stock remained steady during the March 18th, 2019 – March 22nd, 2019 timeframe, closing the week at $36.44 per share. The performance represents a decrease of $1.90 per share, or 4.9 percent, compared to last week’s closing value for the week of $38.07. The performance represents the third consecutive week that GM stock value declined after a seven-week-long rally. Shares saw a weekly low of $36.29 per share (on Friday) and a weekly high of $38.75 (on Tuesday). By comparison, shares of GM’s cross-town rival, the Ford Motor Company, rose 1.3 percent during the week. Over the last few years, GM has taken significant steps to increase the value of its stock, including exiting markets where it is unwilling to or can’t find ways to turn a profit (such as Europe, South Africa and India), closing plants in various parts of the world, divesting loss-making divisions (such as Opel-Vauxhall), making adjustments to its business model in order to prioritize profit over market share, focusing on turning around its Cadillac luxury brand for profitability, and investing heavily into new-age mobility ventures such as electric vehicles and autonomous driving tech. Despite these notable actions, the value of GM stock has historically hovered around the $33 per share mark, identical to the IPO price of the “new GM” in November 2010 – a circumstance that has had many investors frustrated. Despite the current value being higher than the IPO price, the ROI on GM shares leaves a lot to be desired. Before the drop during over the past few weeks, a GM stock rally lasted seven consecutive weeks. The rally seemingly started following an investors conference held immediately prior to the Detroit Auto Show in January, during which GM presented its strategy for new models intended for developing markets as well as several future Cadillac vehicles and how they will contribute to The General’s bottom line. 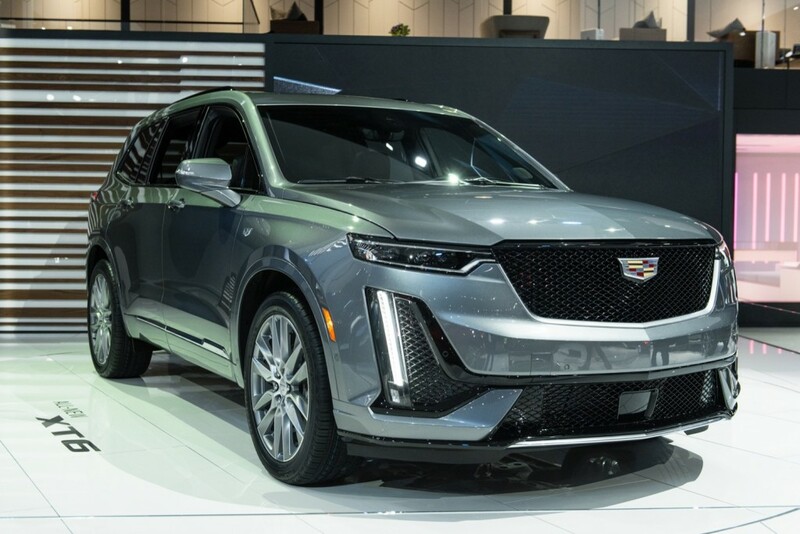 During the Detroit Auto Show, GM unveiled the Cadillac XT6 crossover SUV and pre-announced an electric Cadillac crossover. 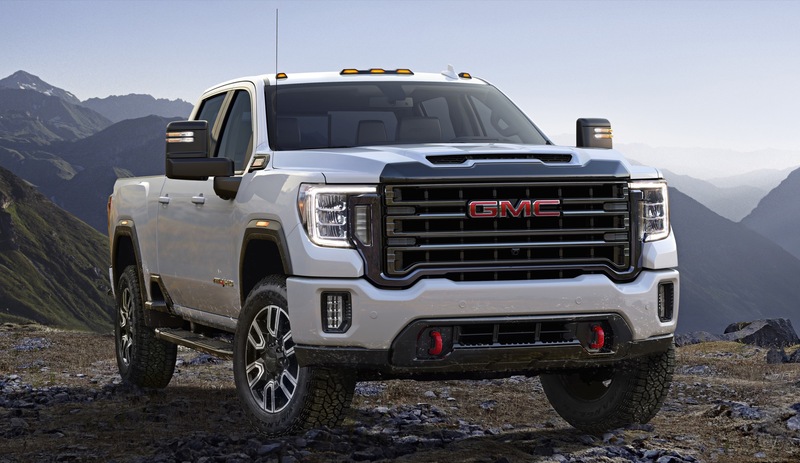 Other factors that could be contributing to the sustained GM stock rally include macroeconomic factors, such as the end of the governmental shutdown, resolution to various matters related to international trade, as well as GM’s debut of its new Heavy Duty pickup trucks – the 2020 Silverado HD and 2020 Sierra HD. Subscribe to GM Authority (it’s free) for ongoing GM stock news and around-the-clock GM news coverage. Previous story GM Files To Trademark ‘Envista’ – Is It For A Future Buick? Next story Dually Trucks: What Are The Benefits Of A Dual Rear-Wheel Pickup? Barra has managed to piss off the government (national, state and local), the employees, and the customers. I think that many investors can see through the BS and that is why the stock is tanking, If it falls below $30, watch out. Wall Street will dump them, and heads will roll at GM. The latter could happen note to soon. Agree wholeheartedly with both posts. No more spin on Miss Mary’s performance — she simply hasn’t done so well so far and managed to piss off a whole bunch of people, some very important to her future, in the process. Remember when GM INSIDER said a few weeks ago on here that it was about to get a lot worse for GM? He/ she wasn’t lying. 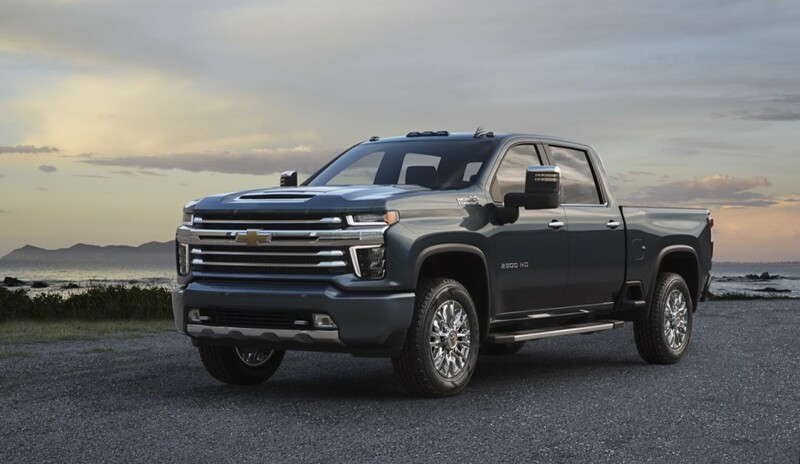 Stock Dow, sales down, profit down, and rebates up huge on many GM vehicles including the brand new Silverado!!! Hope GM INSIDER comes back to keep us filled in.